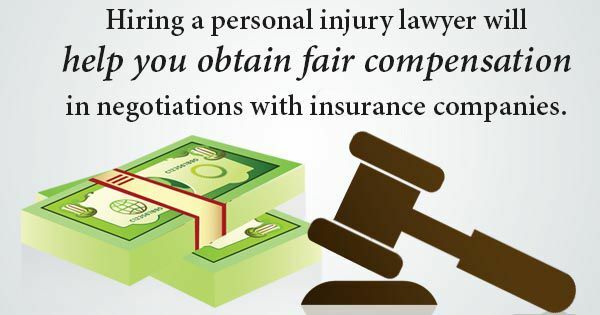 As with most situations involving possible personal injury lawsuits, it can be difficult to decide a) if you should file a lawsuit at all; b) if you should take the matter to criminal court, civil court, both, or neither; and c) if the expenses and fees of the entire thing might be so expensive that filing a personal injury claim ends up costing you money, rather than awarding you compensation. Dealing with insurance companies. In theory, insurance companies are supposed to protect you, your family, and your property when something unexpected and disastrous happens. In reality, when something does happen, you end up fighting with these companies to get financially compensated, because when an insurance company gives its clients (e.g., you) more money, the company itself makes less of a profit. Sometimes you need a lawyer who knows all the loopholes that the companies will try to find; sometimes you just need someone semi-intimidating to advocate on your behalf. Being denied compensation. If you’ve already made a claim and been denied coverage, it isn’t too late to come back again with a lawyer in tow. Again, insurance companies want to make sure that they keep as much money as possible, and it’s fairly common for companies to deny coverage if they might be able to prove that you’re partly responsible for your injury; essentially, they’re hoping that you’ll back down and simply accept the denial. Making a very large claim. Many people feel comfortable making smaller personal injury claims on their own, but if you’re dealing with a particularly severe, life-threatening injury, you’re probably going to be entitled to a very large sum of money — but having a legal expert around to negotiate the amount and the payment methods is extremely beneficial. Simply receiving financial compensation is only the first step; understanding and managing that money is the second, and is just as important. So now it’s up to you — when do you think a personal injury lawyer is absolutely necessary (or vice versa)? Be sure to share your thoughts in the comments section!